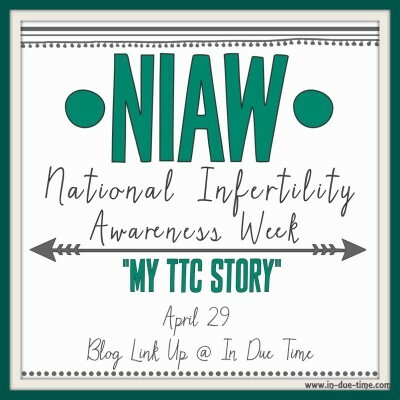 To finish up National Infertility Awareness Week I am hosting a link up for any blogger who wants to share their infertility story. The purpose of this is to connect with and meet other bloggers, encourage one another, and also read testimonies of those on the other side (assuming moms join in too). My hope in blogging is that this would never be a one way relationship, but that I would get to know and encourage each person I cross paths with. Despite that each one of us has such different paths of getting to motherhood, I think it’s so important that we all support each other through both the ups and downs. If you want to join the linkup please add the url of any blog post that has ‘your story’ using the blue link below. Whether you knew about this ahead of time or are reading this for the first time today, please know you are welcome to join. In addition, I am sharing our story which I realize I haven’t done in quite some time. If you know it, please skip over it and visit some of the blogs below! You can read the full timeline here which is also linked below, but Colby and I married in April of 2011 and soon after decided we were ready for kids. At the beginning of 2012 after a conversation with my ob, she suggested we both get baseline tests done due to prior medical history. Just a few days after we both got tested, we received several phone calls, none of which were good. 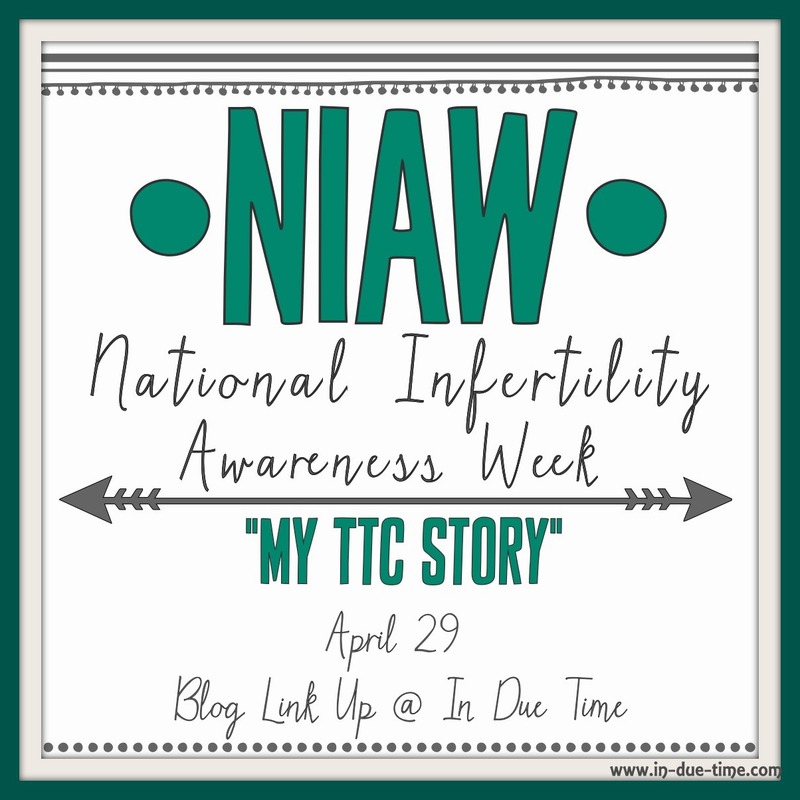 Most of my hormones were irregular hormones and an MRI revealed a tumor on my pituitary gland. In addition, Colby was diagnosed with azoospermia. Our world came crashing down in those moments. While obviously motherhood isn’t the reason I got married, it was (and still is) a top priority for me. What would this mean for our future? We weren’t sure, but we immediately found ourselves crying out to the Lord (and clearly still are). We were referred to meet with two specialists: a urologist and a reproductive endocrinologist. They told us we had 0% chance of conceiving on our own, but gave us a slight chance if we pursued IVF. Besides a few more visits Colby had with the urologist, we haven’t been back to the doctor since. Why? Well I wouldn’t say it’s by choice even though we have been given a free will and can do whatever we want, but we haven’t pursued adoption or medical intervention because we feel that the Lord has led us to wait for a miracle. 1.5 years into our journey, in August of 2013, we felt like the Lord told us to stop timing, charting, planning, etc, so for the past 2.5 years we have released all control to the Lord. We are walking in complete faith that He will bless us with a household full of children. The wait isn’t easy. But we know when we are holding our babies it will be worth it. 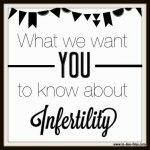 Are you currently going through infertility? Maybe you did go through infertility, but you are on the other side now? We would love for you to share your story by using the link up below. Please don’t use your general blog link, but a specific link to where you have written out your story or timeline, no matter how short or long it is, we want to read it. 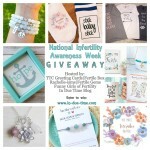 PS .Did you see the Fertility giveaway? There is over $200+ worth in prizes and three winners will be chosen. PPS. Did you see my new camera bag? I have teamed up with Shutter Totes to give away one winner a $50 credit for a bag which is multi-functional for a diaper bag or purse too! PPPS. 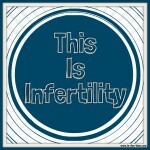 Are you looking for infertility support? Come join us! What you and Colby are doing is truly inspiring! I have been praying for peace, patience and strength so much these days. I have good weeks and then terrible ones where I feel like my world is crashing down. But I have to remember, that God loves me, my husband loves me and I have a wonderful family. One day we will be mom’s Caroline…always praying for you! Thank you for sharing your story again and for having so many women share their stories through this link up!! Always praying for you! Praying for yall through this difficult journey. Your patience and faith is truly inspiring. Your strength is beautiful. Thanks for sharing your story! My hubby and I have also decided to wait and not pursue IVF or adoption. I think it can be hard for people to understand that sometimes, but we are blessed enough to be surrounded by a large group of prayer partners who are so good about just listening and being with us. Blessings to you! 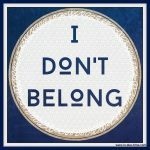 I linked up with you to an older blog I have about waiting. Such an important link-up. 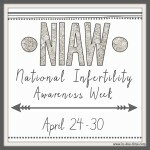 I just found out it was National Infertility Awareness week from one of my friends who also struggled with infertility. I’m so glad more women are speaking up because it’s something that needs to be talked about. This blog idea is so great. I love the idea of reading other people’s stories. Thanks for putting this one together, Caroline. I love that you had the link up so women could share their stories. It’s a great community you’ve brought together. Thank you for sharing your story again and for providing a platform for others to share as well. I join you in praying for the day that your sweet babies are snug in your arms! Thank you for sharing your journey. I just came across your blog from Huffington. Just wanted to share that I was told that I was infertile. And that the many women who went for the same day surgery as me got pregnant, but me. After all the hormone shots and meds, still nothing. It was unfortunate that my marriage ended after 9yrs. But found someone later and I sought TCM, got acupuncture and did yoga. So, I was surprised that I even conceived. I am 42 this year and my son almost 4yrs. So don’t let anyone tell you otherwise. Miracles do and will happen, yes, in due time. May the good Lord bless you and your husband….. I love this! Thanks so much for sharing your story. I love that you are trusting the Lord’s timing in all of this!! I admire the two of you so much. If I felt I was being called to sit back and wait, I’m not sure I would have the trust and bravery to do so.